From Europe to Japan to the U.S., nuclear power is in retreat, as plants are being shuttered, governments move toward renewables, and key companies face financial troubles. Even some of the industry’s biggest boosters believe nuclear is on the way out. In an astonishing hammer blow to a global industry in late March, Pittsburgh-based Westinghouse — the original developer of the workhorse of the global nuclear industry, the pressurized-water reactor (PWR), and for many decades the world’s largest provider of nuclear technology — filed for bankruptcy after hitting big problems with its latest reactor design, the AP1000. Largely as a result, its parent company, the Japanese nuclear engineering giant Toshiba, is also in dire financial straits and admits there is “substantial doubt” about its ability to continue as a going concern. Meanwhile, France’s state-owned Électricité de France (EDF), Europe’s biggest builder and operator of nuclear power plants, is deep in debt thanks to its own technical missteps and could become a victim of the economic and energy policies of incoming President Emmanuel Macron. Those three companies account for more than half of all nuclear power generation worldwide. Their “looming insolvency … has set off a chain reaction of events that threatens the existence of nuclear power in the West,” says Michael Shellenberger, president of the pro-nuclear NGO, Environmental Progress. “The nuclear industry as we have known it is coming to an end,” says Ted Nordhaus of the Breakthrough Institute, a California eco-modernist think tank that advocates for nuclear power. The U.S. remains the world’s largest producer of nuclear power, with about 100 commercial reactors in operation. New construction virtually shut down after the near-meltdown at Three Mile Island in Pennsylvania in 1979. Recently, a stuttering renaissance has been under way. 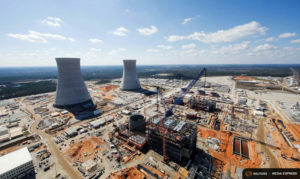 Westinghouse has been building four new reactors at Waynesboro, Georgia, and Jenkinsville, South Carolina. But those reactors have hit regulatory holdups and technical problems that have pushed cost overruns to an estimated $13 billion. And with Westinghouse in financial meltdown, it is now far from clear that they ever will be finished. This is no short-term trend. While gas and renewables get cheaper, the price of nuclear power only rises. Meanwhile across the country, utilities are shutting existing plants from California to Wisconsin to Vermont, often long before the end of their design life, because they cannot compete with cheap fracked gas or, increasingly, with wind and solar power. Fourteen power reactors have shut since 2012. This is no short-term trend. While gas and renewables get cheaper, the price of nuclear power only rises. This is in large part to meet safety concerns linked to past reactor disasters like Chernobyl and Fukushima and to post-9/11 security worries, and also a result of utilities factoring in the costs of decommissioning their aging reactors. Westinghouse’s downfall was partly caused by the U.S. Nuclear Regulatory Commission wanting, as Gregory Jaczko, its chairman from 2009 to 2012, put it, “to ensure [the AP1000 design] could withstand damage from an aircraft impact without significant release of radioactive materials.” A 9/11 clause, in other words. The fallout from the meltdowns at Japan’s Fukushima plant following the 2011 tsunami has had an even more chilling effect than regulatory actions. The plant’s operator, TEPCO, has no way of paying the cleanup bill, now put at $180 billion. Only the financial support of the Japanese government props TEPCO up. After the accident, Japan — which at the time relied on nuclear power for 30 percent of its electricity — shut all its 48 operational nuclear reactors for safety checks. Six years on, only five are back online. In many parts of the country, local politicians are refusing point-blank to allow resumption. An industry summit last month concluded that only a full-on drive to regain public trust would enable the plants to reopen. That may be never. Fukushima also proved to be the tipping point in Germany’s long-running and bitter nuclear debate. 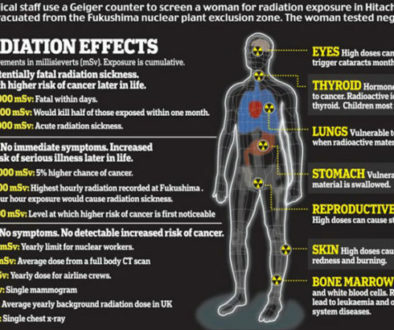 The accident persuaded the conservative and previously pro-nuclear Chancellor Angela Merkel to call time. Within weeks of the accident, she set a deadline of 2022 for shutting down the country’s reactors, which at the time generated 22 percent of German electricity. The finality of Germany’s decision was confirmed when engineering giants such as Siemens announced their exit from the reactor-building business. France has long been Europe’s most enthusiastic nuclear nation. But it too is getting cold feet. In the wake of Fukushima, President Francois Hollande committed to cutting nuclear’s share of energy generation from 75 percent to 50 percent by 2025, with the gap to be filled by renewables. Before his election victory this month, the Macron pledged to stick with the plan. Presidential politics is only giving a Gallic nudge to what is happening anyway. The majority of France’s power reactors — mostly of Westinghouse PWR design, and built by EDF — were commissioned in the 1970s. Their average age is now well past 30 years. Their 40-year design lives could be extended if a safety review due next year finds in their favor. But large-scale construction to replace them seems increasingly unlikely. EDF’s latest power-plant design— a safer variant of the old PWRs, known as an EPR — has been beset by teething troubles. The prototype, being built at Flamanville in northern France, is six years behind schedule, and its cost has tripled to more than $10 billion. Macron’s reformist economic policies are unlikely to favor continued massive subsidies to the French nuclear industry. From now on, nuclear must pay its way or die in France. Attention is turning, as in Germany, to the cost of decommissioning the flood of power plants likely to come off-line by 2025. In February, a French parliamentary report dismissed an EDF claim that this could be done for $370 million per reactor, noting that this was about a third of the estimates made by operators of similar plants in the U.S. and Germany. The last surviving enthusiast for nuclear power in the West is Britain. The government there is intent on ending all burning of coal for power generation by 2025 and believes that to do that requires replacing its aging, domestically designed, gas-cooled reactors, most of which are now shut. Ministers want to construct up to ten new nuclear plants. But the winds buffeting the global industry are making it hard to find anyone to build them. There are no homegrown builders anymore, and a generation of nuclear scientists and engineers has retired. So Britain has been seeking out foreign builders. The first is EDF, which already operates some existing British nuclear reactors. Earlier this year, the company broke ground at Hinkley Point in southwest England, where it will build two of its troubled EPRs. It plans two more at Sizewell on the east coast. The last surviving enthusiast for nuclear power in the West is Britain, where the government is intent on ending all burning of coal. Meanwhile, British plans to pay Toshiba to build a giant complex of three Westinghouse AP1000 reactors at Moorside in the northwest of England look doomed because of the financial implosion of the company. The government recently asked South Korea’s nuclear giant KEPCO to take over the project, perhaps using its own design, the APR 1400. Also keen to break into one of the few markets for new nuclear power plants is China General Nuclear, a state-owned enterprise. It already has a one-third financial stake in EDF’s Hinkley plant and wants to use that to help secure good terms to build its own Hualong One reactor design, starting at Bradwell, east of London. It believes that British regulatory approval for its reactor design could open up world markets. Late last year, the International Atomic Energy Agency, a United Nations body, said Asia had become the “driver” of global nuclear development. 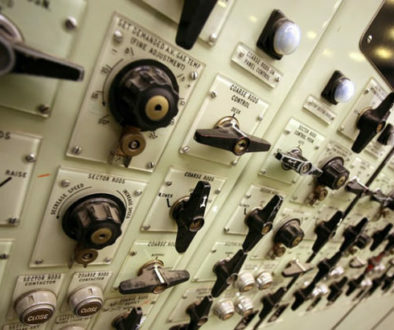 And it may be a sign of the times that Britain, which 61 years ago opened the world’s first civil nuclear power plant, could soon either have no nuclear power or be largely reliant on Korean and Chinese manufacturers. South Korea has 25 working reactors delivering power. China is constructing new reactors at the rate of eight a year. And both countries are increasingly eyeing the export opportunities created by the collapse of the old order in the U.S., France and Japan. Shellenberger suggests that an Asian takeover might be a good thing for the West. A beaten and bankrupt industry built on high-cost, bespoke construction could be ripe for annexation by companies that have learned to mass-produce reactors based on old Westinghouse PWR designs and that have replaced nuclear scientists with engineers and experimentation with replication. “What makes nuclear plants safer and cheaper to build and operate is experience, not new designs,” Shellenberger says. But the invasion still may not come. Even in South Korea, nuclear companies are operating in the face of a political headwind, blowing from across the Sea of Japan. Wary of public concerns after Fukushima, South Korea’s newly elected president Moon Jae-in called during campaigning for a switch in the country’s energy mix from nuclear to renewables. Where does this leave greenhouse gas emissions? Can countries both abandon nuclear power and slash their emissions? In the short term, the answer looks like no. Japan’s emissions have risen to record levels since the post-Fukushima shutdowns, and the government has abandoned targets to cut them by 2020. In Germany, much of the slack from nuclear closures has been taken up by burning more brown coal, leaving the country that likes to boast about its solar and wind power with among the highest CO2 emissions in Europe. France’s emissions are lower, thanks to its current reliance on nuclear power. But the French Academy of Sciences last month warned that reducing nuclear’s share of the energy mix was incompatible with further reductions in CO2 emissions. Nuclear looks ever more like a 20th-century dinosaur, unloved by investors, the public, and policymakers alike. Most environmentalists are nonetheless ardent opponents of the nuclear industry. For many the prime concern is its poor safety record. Others recoil at the inescapable technological link to nuclear weapons production and at nuclear’s many unresolved problems with waste disposal and decommissioning; they also see nuclear as a rival for investment in renewables, their preferred choice for a low-carbon future. They would happily consign nuclear power to the dustbin of history. Not all take this line, however. 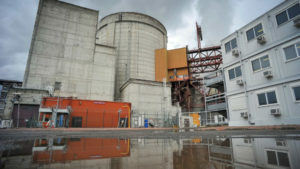 Those who brand themselves eco-modernists, including Shellenberger, declare nuclear power’s unique virtues. Done right, they say, it can deliver low-carbon energy on a large scale from power plants that —unlike wind and solar power — do not require large amounts of land. It is, moreover, an established worldwide industry, and already generates around a tenth of global electricity. 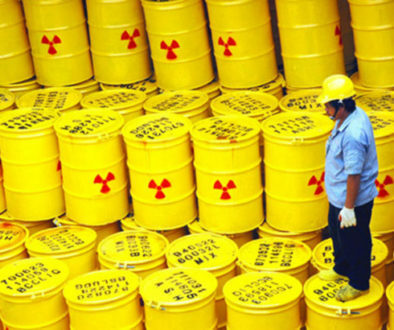 They argue that its costs, particularly for waste disposal, have been artificially raised by unreasonable safety demands made by radiation-phobic environmentalists. But in the longer run, nuclear’s virtues in a low-carbon world are less clear. Some have argued that nuclear power would be a good and reliable backup to intermittent renewables like wind and solar power. But they could not be more wrong, says Jochen Flasbarth, state secretary at the German federal environment ministry. Germany, he says, intends its primary source of electricity for the future to be wind and solar. Yet even if energy storage technologies dramatically improve, Flasbarth acknowledges that the country will need a backup source of power for when the sun is not shining and the winds drop. That backup will need to be able to switch on and off at short notice. But nuclear, whose forte is delivering baseload power 24/7, could never do that, he says. On the face of it, now should be the moment when nuclear power fulfills the extravagant promises made for it half a century ago. In an age when there is no higher priority than delivering low-carbon energy, the biggest source of that energy in the rich, developed world should be ready to thrive. Yet the industry is in crisis. It looks ever more like a 20th- century industrial dinosaur, unloved by investors, the public, and policymakers alike. The crisis could prove terminal. Não deixe de ver este vídeo de 12 minutos, feito pelos organizadores do primeiro Fórum Social Temático Antinuclear em Tóquio.